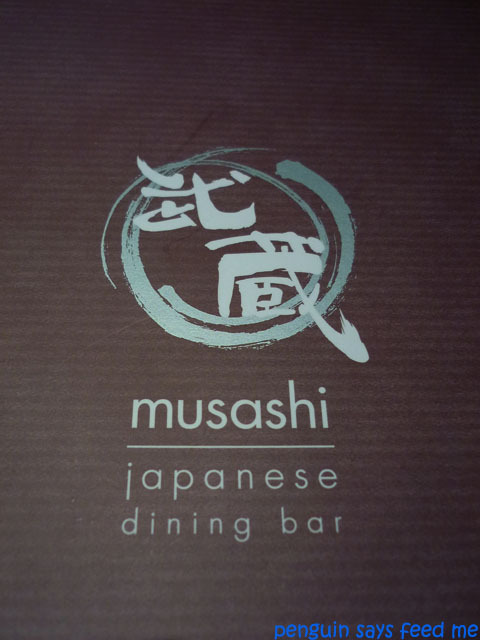 Following our fantastic lunch at Marque and watching Julie and Julia, we finished off our day of all-things-food by having dinner at Musashi. Since they don't take bookings after 6pm, we joined the queue and waited for about 30 minutes before getting a table. Which was good in a way since it gave us time to build up an appetite for the delicious food to come. 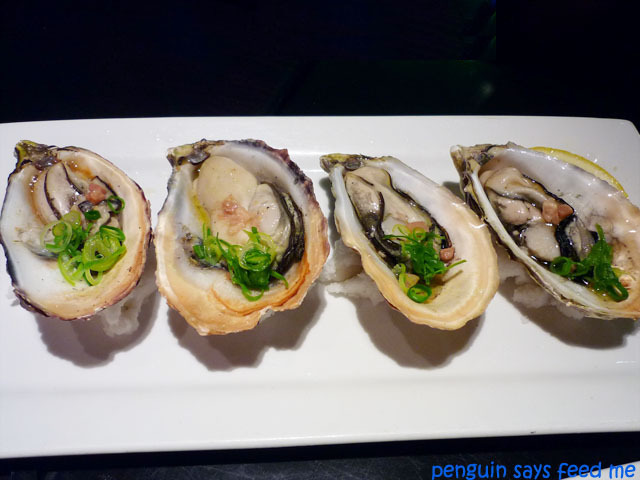 We started our meal with one of the specials for the day: grilled jumbo oysters with bacon, butter, garlic, olive oil and soy sauce. These oysters were huge and were grilled to perfection so that they were almost melt-in-the-mouth. The buttery, garlicky sauce was not too overpowering and I loved the sprinkling of crispy bacon bits and spring onions to add a bit of crunch. 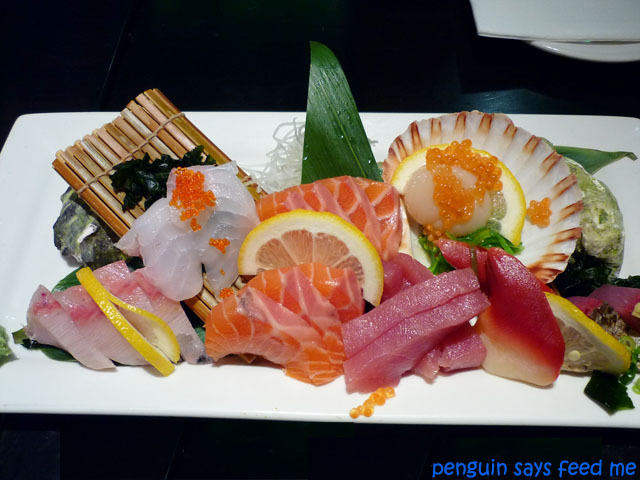 We also ordered a sashimi main which contained thick slices of kingfish, salmon and tuna amongst others. The fish was very fresh and although there was nothing particularly special about it, it still managed to satisfy my sashimi cravings. 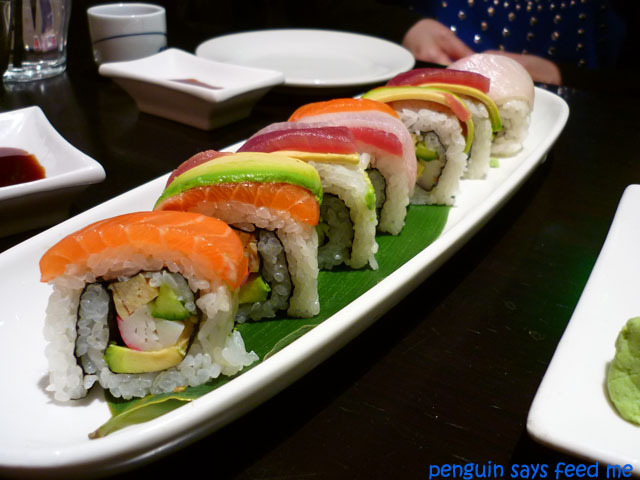 The rainbow roll was a colourful display of fresh sashimi and avocado layered on top of a california roll. Although I thought it was a bit dry and could have done with a bit more mayonnaise in the roll, there was a nice balance of rice and filling. 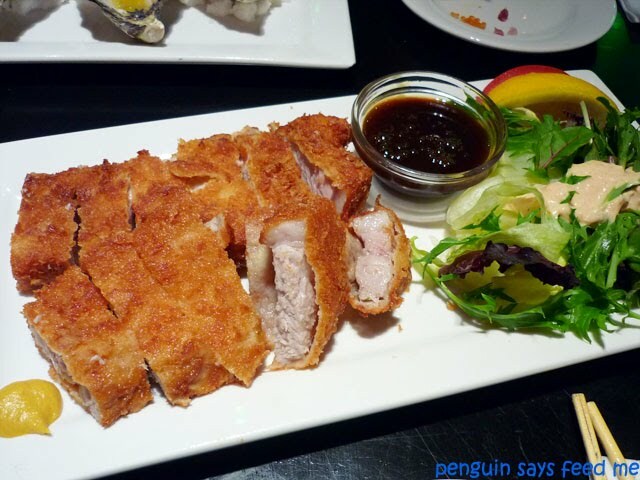 The tonkatsu pork loin was a definite winner! Pieces of tender pork loin were encased in breadcrumbs and deep fried until golden brown. They came out piping hot with a crunchy exterior and were perfect when dipped in the sauce. One of my favourites of the night. My other favourite dish was the BBQ calamari - something I don't usually enjoy probably because there have been too many times when the calamari is overcooked and rubbery. This was the total opposite, the sweet BBQ-sauced calamari rings chewy but still tender. The serving size was also very generous and these were so yummy I ate far too many and left the restaurant feeling very full! A great place to have dinner if you don't mind waiting a bit (or if you're willing to eat very early or very late)! Now on a completely different note, I recently received my very first blog award from the lovely Ellie at Almost Bourdain. Go and check out her blog if you haven't already - it makes my mouth water every time! Thanks Ellie! 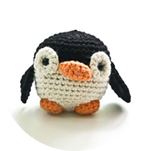 According to the rules of this award, I must accept the award, post it on my blog together with the name of the person who has granted the award, and their blog link. 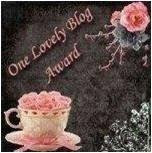 Pass the award to 8 other blogs that you’ve recently discovered. Remember to contact the bloggers to let them know they have been chosen for this award. Jacq, you are most welcome! Musashi is one of my fav jap restaurant. Nlike the idea of all-things-food day! The oysters look AMAZING. I'll definitely check it out once, uh, my paycheque comes in. In the meantime I'll sleep and dream oyster dreams. Thanks for the award Jacq! I really appreciate it. If only I could give it back to you too I would as I love your reviews! I had dinner in Masuya last night which I think is the sister restaurant of Musashi and it was delicious! I'm going to have a hard time finding 8 blogs...time to search the ninja archives! Hi Trissa - You're welcome! 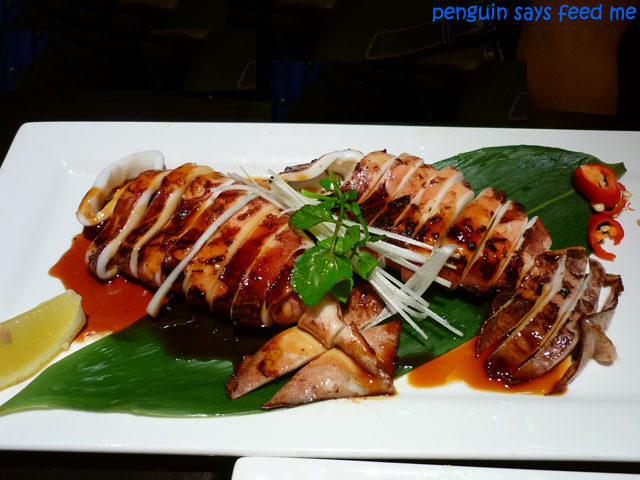 And you definitely deserve the award :) I've only been to Masuya once but the food was great! Thank you for your tips about this restaurant. I will certainly try out this place asap. They did not take bookings, but we really enjoyed our meals and the staff were very friendly. They did give us a cup of green teas when we were waiting outside (just like Makoto) and it was a very nice gesture. I will recommend this restaurant to anyone who is looking a traditional as well as fusion Japanese cuisines.